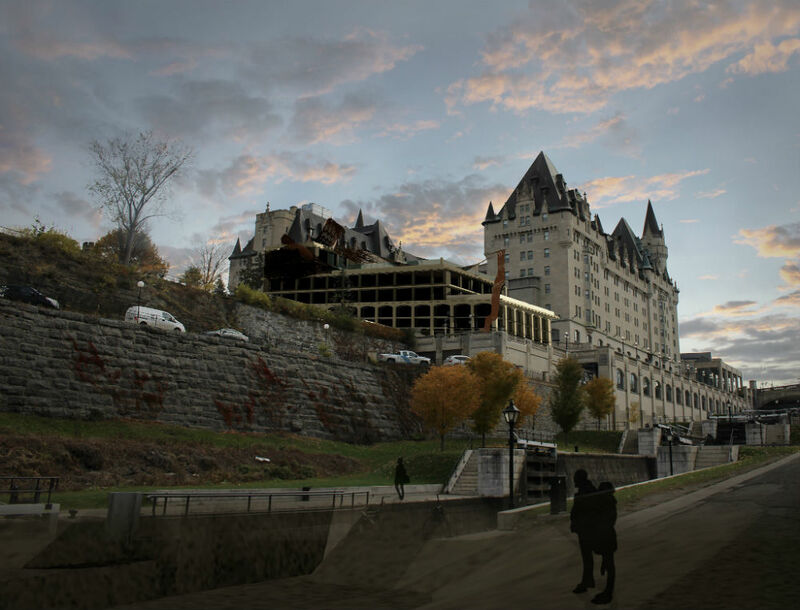 In September 2016, the owners of the Château Laurier unveiled plans for a major addition to the century-old railway hotel. 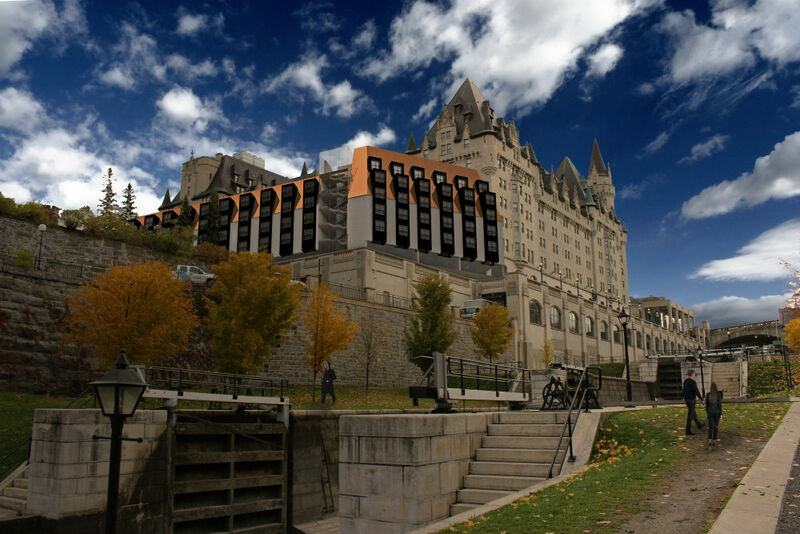 The decidedly modern addition, which would make room for up to 200 additional hotel rooms, was under fire from Ottawans immediately. Indeed, Larco Investments, which owns the hotel, and Peter Clewes, the Toronto-based architect commissioned for the design, did go back to the drawing board. Two years and four design-rounds later, the addition has been conditionally approved. The controversy gave Mariana Esponda, an architecture professor who specializes in historical building conservation, an idea. 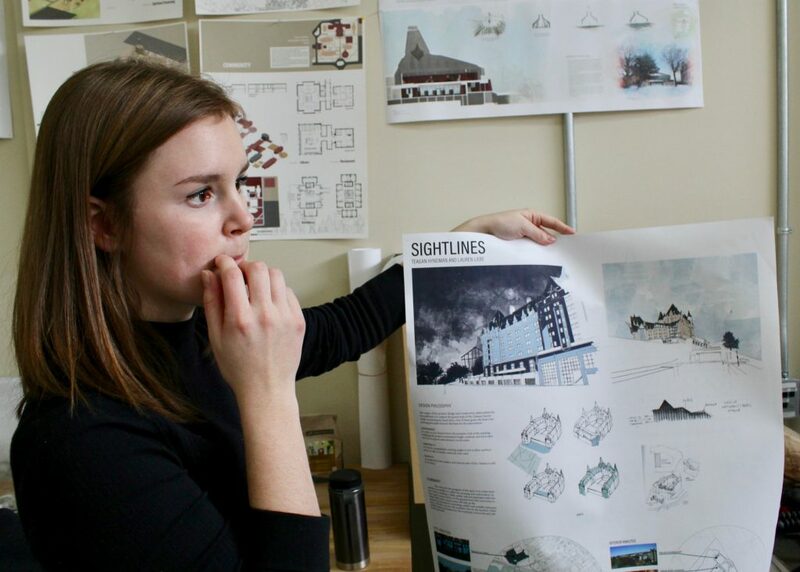 She challenged her third-year students, part of a Carleton University architecture program focused on heritage conservation, a unique specialization among Canadian architecture schools, to draw up their own visions for the Château. 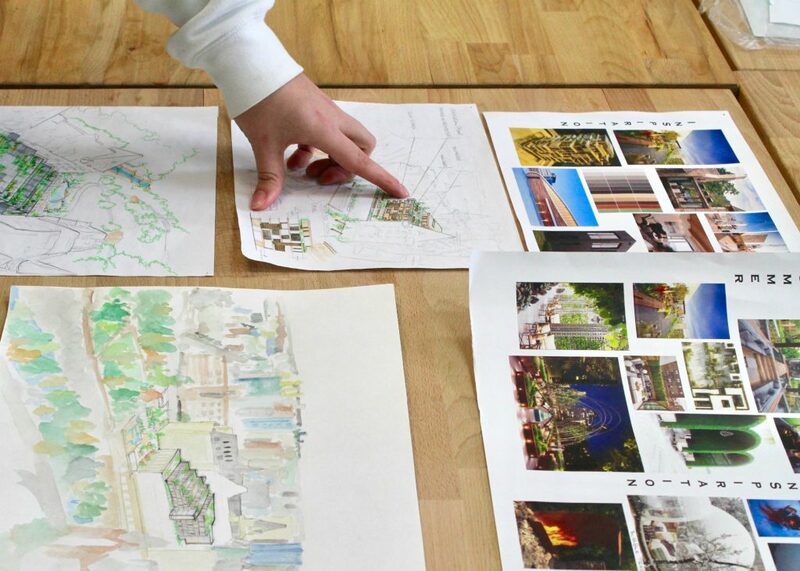 Esponda encouraged her students to find ways to complement the Château’s French Gothic style with contemporary design, while maximizing access to surrounding areas like Major’s Hill Park and the Byward Market. The students had to add at least 150 additional rooms to match Larco’s specifications. 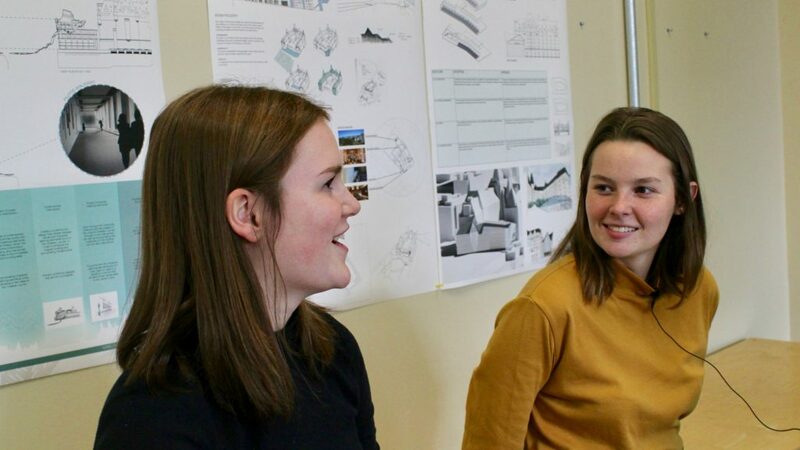 When Teagan Hyndman and Lauren Liebe, both third-year students in Esponda’s class, decided to work together on the assignment, they immediately agreed that their design wouldn’t have a flat roof. “We really took a lot of inspiration from the existing roofline and wanted to make it interesting,” Hyndman said. They studied the design of the Château Laurier and decided to use the existing shapes and angles to make sure their addition continued to compliment the older building. 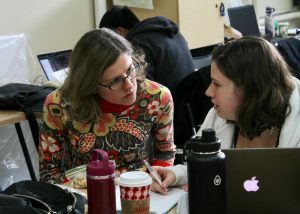 “The really cool thing about heritage projects is that you always have a place to look for inspiration,” Hyndman said. Luis Panchi Galvan, another student in the class, turned to the landscape around the historic building for inspiration. He said he’s received feedback that his design was “never inward, it was more outward.” Its standout feature is a staircase connecting his addition to Major’s Hill Park. His goal is to open up previously inaccessible areas of the Château Laurier for exploration. “I was thinking maybe we should bring back the curiosity that people have in the city,” Galvan said. Galvan’s design features additional public space including a skating rink and an indoor events pavilion. He said working in the Byward Market and taking shortcuts through the park helped him recognize what the area is missing. 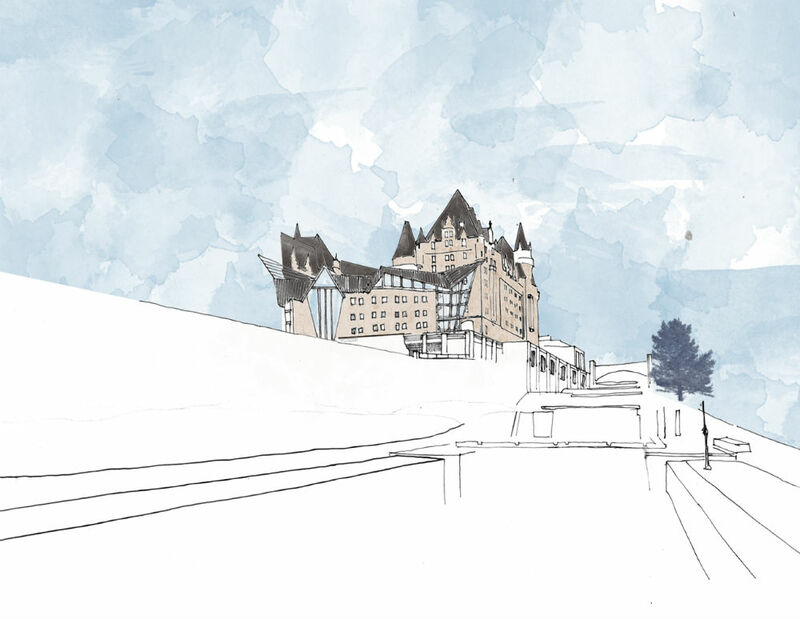 Vanessa De Alexandris designed her addition to match the step-like structure of the Ottawa locks, which can be seen from the north end of the Château Laurier. De Alexandris’ design is an “infill project,” meaning that she filled-in existing space rather than building outwards, since the hotel is almost like a horseshoe around an open area. 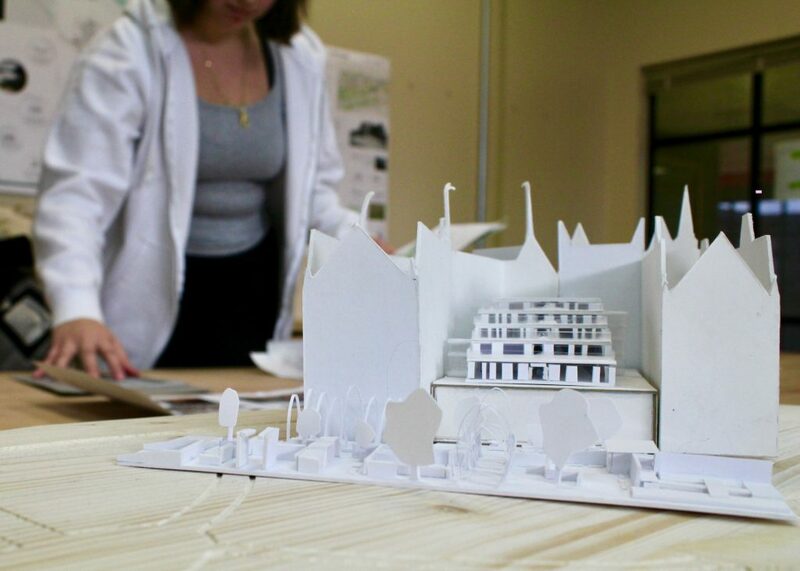 The idea to put the students’ work on public display began with a conversation between Esponda and Peter Coffman, an architectural historian and professor at Carleton University. Coffman is a board member at Heritage Ottawa, and an outspoken critic of the Château Laurier addition proposal. 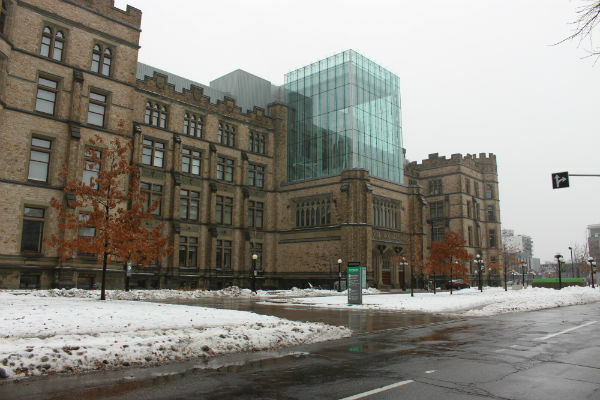 Coffman said that upheaval over the Château Laurier addition isn’t about Ottawans disliking modern architecture: other modern additions have been successful because they fit with the original building. For Coffman, Larco’s design proposals “look like foreign objects that have been clamped onto the historic building.” He says more recent design rounds do not go far enough in making the angular, Bauhaus-style addition compatible with the existing building, a topic he has blogged about extensively. Coffman said that the student exhibition presents an opportunity to explore design possibilities he doesn’t feel the public got from Larco. 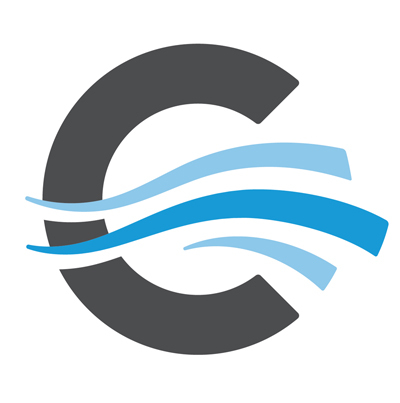 Ideally, Coffman said he hopes that the upcoming exhibition, to which he plans to invite all newly elected members of city council, will have an impact on the proposed design. If it doesn’t, he hopes it will help raise awareness about how public participation can improve the process next time. For the students, the exhibition is about getting feedback on their designs in order to keep improving them. 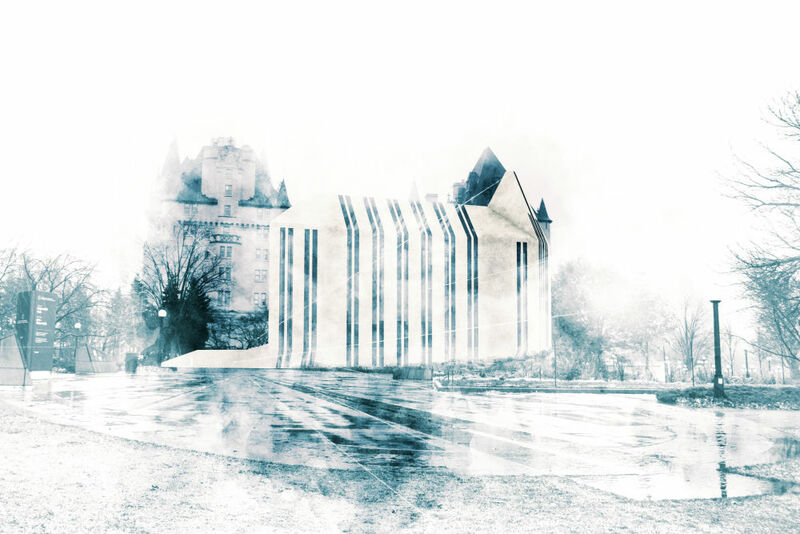 Outside the Box: Alternative Designs for an Addition to the Château Laurier runs Dec. 8 from 11 a.m. to 4 p.m., and Dec. 9 from 10 a.m. to 4 p.m. at the Hintonburg Community Centre, Laroche Room, 1064 Wellington St. W.
The proposed addition to the Château Laurier has been especially controversial because of its location: across from Parliament and at the gateway of the Rideau Canada, a UNESCO world heritage site. The Château Laurier is a national heritage site and is designated under the Ontario Heritage Act. “Arguably, in terms of political history this is the most iconic sight in the whole country,” as Peter Coffman put it. Although the Château is on private property owned by Larco Investments, the City of Ottawa has the power to approve or deny any exterior changes made to the building because of its provincial heritage status. 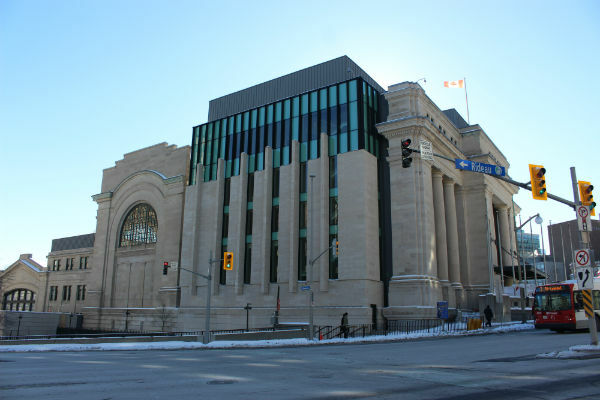 Its national heritage status is mostly symbolic and doesn’t require federal approval, according to Barry Padolsky, a prominent Ottawa architect and member of the city’s built-heritage subcommittee. In July, after three design rounds, city council conditionally approved Larco’s design, but asked them to go back to the drawing board one last time for a few changes—tweaks like adding Indiana limestone and making the north facade of the building less imposing to make the addition more compatible with the existing building. Dennis Jacobs, a planner who represents Larco, estimates that revised final concepts will be finished in mid-December and a complete set of plans will be re-submitted in early January. Construction is expected to begin in 2019. For Padolsky, who raised the motion to request final tweaks at the built-heritage subcommittee along with Coun. Tobi Nussbaum, it was a sort of a “Hail Mary pass.” Padolsky said he thought council was ready to approve the design, and he didn’t feel totally overturning the design was “politically doable.” The planning committee endorsed Padolsky’s motion, which was ultimately passed by council. Asking for a few more changes was a compromise. Mathieu Fleury, city councillor for Rideau-Vanier, said he wouldn’t say that council conditionally-approved the design, but rather the “envelope of the expansion.” For Fleury, in an ideal world, Larco would have demolished the Château’s rear parking lot without building an addition. But as a property owner, he said, the decision is theirs to make. “I don’t think that it’s a project that could garner everyone’s support, but the hope is that the work of the city staff and the applicant come back with something that most can embrace,” Fleury said. Padolsky thinks that the National Capital Commission should have intervened early in the process by evaluating the addition proposal themselves. The National Capital Commission is responsible for protecting important viewpoints in the capital and has laid out more than a dozen ‘protected views’ including of Parliament and the Rideau Canal. 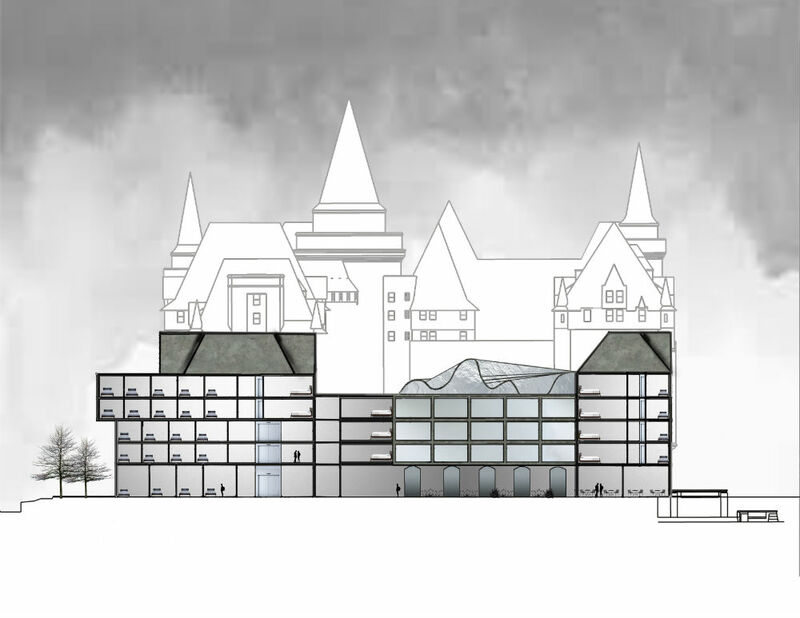 Padolsky said that none of those views look up towards the Château Laurier in the direction of the proposed addition. 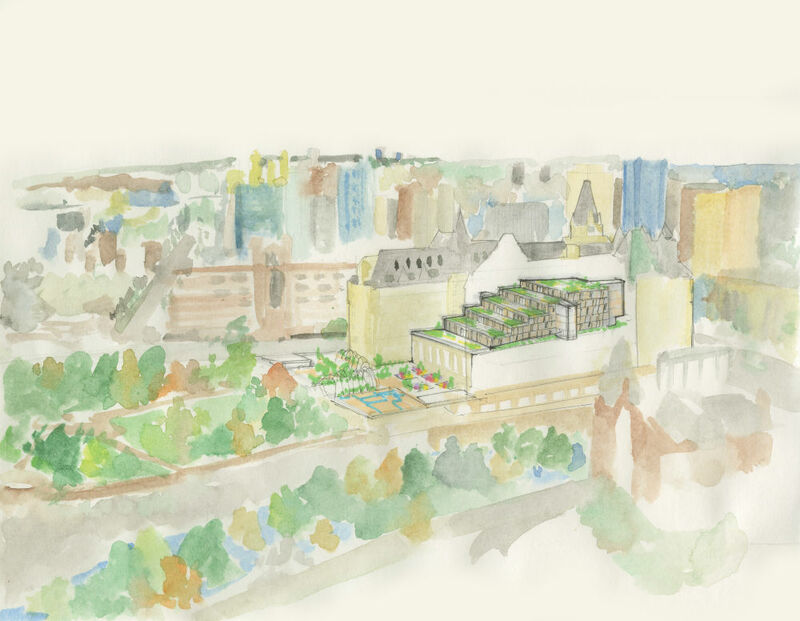 According to Mario Tremblay, strategic communications advisor with the National Capital Commission, although view protection does not apply to the Château specifically, views of the addition from the Alexandra Bridge, Major’s Hill Park and the Rideau Canal locks were studied. 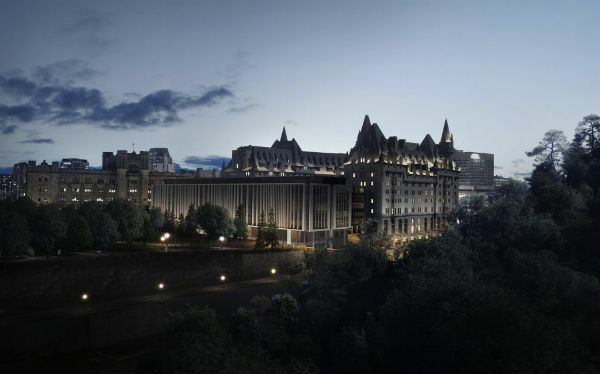 Tremblay reiterated that although the Château Laurier is surrounded by federal lands, it is on private land and therefore not subject to the National Capital Act. Repeat after me: the words “Larco investments” and “design architecture next to a Unesco heritage site” don’t go well together. 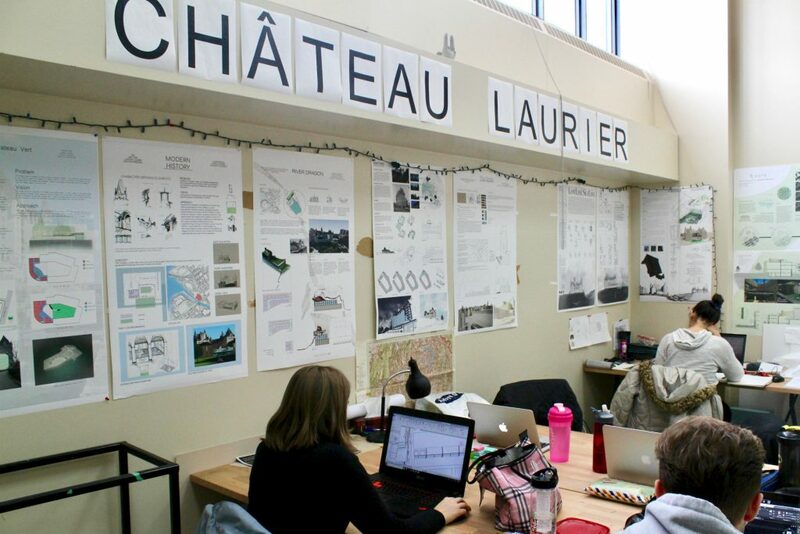 Bravo to the Carleton students for their fantastic ideas and innovation for a unique site.